Help US help YOU in an EMERGENCY! Fire Hydrants are a vital source of water for fire protection. 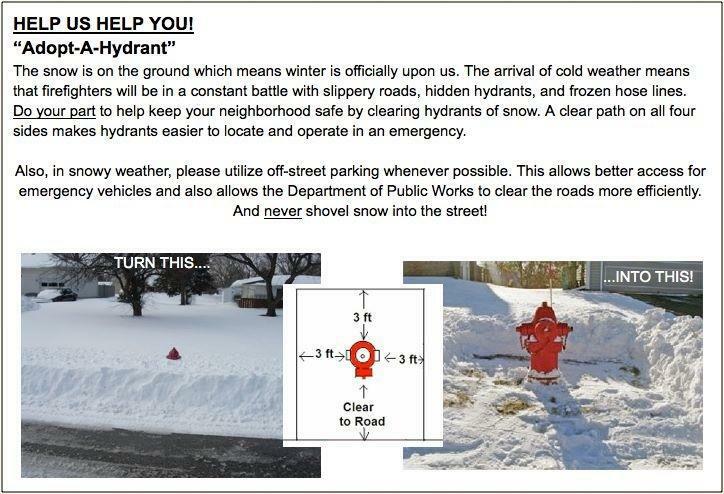 Please take the time to clear a hydrant nearby of snow so we can access them quickly during an EMERGENCY! Thank You!